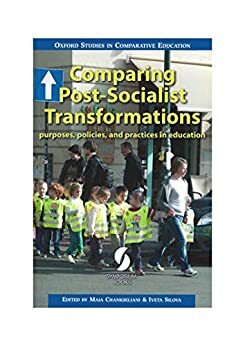 This volume revisits the book edited by David Phillips and Michael Kaser in 1992, entitled Education and Economic Change in Eastern Europe and the Former Soviet Union (https://doi.org/10.15730/books.42). Two and a half decades later, this volume reflects on how post-socialist countries have engaged with what Phillips & Kaser called ‘the flush of educational freedom’. Spanning diverse geopolitical settings that range from Southeast and Central Europe to the Caucasus and Central Asia, the chapters in this volume offer analyses of education policies and practices that the countries in this region have pursued since the fall of the Berlin Wall and the dissolution of the Soviet Union. This book explores three interrelated questions. First, it seeks to capture complex reconfigurations of education purposes during post-socialist transformations, noting the emergence of neoliberal education imaginaries in post-socialist spaces and their effects on policy discussions about education quality and equity across the region. Second, it examines the ongoing tensions inherent in post-socialist transformations, suggesting that beneath the surface of dominant neoliberal narratives there are always powerful countercurrents – ranging from the persisting socialist legacies to other alternative conceptualizations of education futures – highlighting the diverse trajectories of post-socialist education transformations. And finally, the book engages with the question of ‘comparison’, prompting both the contributing authors and readers to reflect on how research on post-socialist education transformations can contribute to rethinking comparative methods in education across space and time.